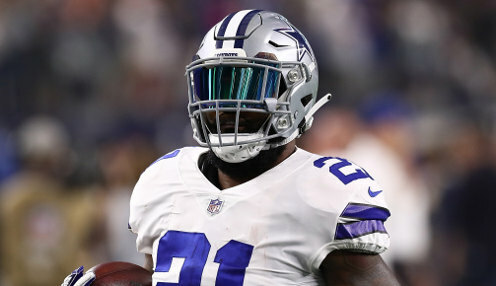 Lose one, win one, has been the path the Dallas Cowboys have followed this season and frankly they looked very average until a stunning performance against the Jacksonville Jaguars. Quarterback Dak Prescott tossed two touchdowns and also scored on the ground in the one-sided affair at the AT & T Stadium in Arlington. Prescott completed 17-of-27 for 183 yards through the air and gained 82 yards on 11 carries in the 40-7 triumph. Ezekiel Elliott also scored as the former Ohio State star rushed for 106 yards on 24 carries. Tied for second in the NFC East Division with the defending Super Bowl champion Philadelphia Eagles, the Cowboys will hit the road this week to take on the Division leading Washington Redskins at FedEx Field in Landover, MD. Dallas will then take their bye week before returning against the Tennessee Titans. Meanwhile the Redskins rebounded nicely from their loss to the New Orleans Saints by getting the better of the Carolina Panthers. Alex Smith was 21-of-36 for 183 yards and two touchdowns as Washington eased past the visitors 23-17. Like the Cowboys the Redskins have also been alternating wins and losses as no team in the Division has stepped forward. That's not a huge surprise as the one constant in the NFC East Division is how difficult it is for any team to repeat. The Eagles, 11.00 to be conference winners this term, won the NFC East last season with a 13-3 record and it's fair to say that isn't happening this year. Philadelphia welcomes in the Panthers this week to Lincoln Financial Field before an interesting match-up against the Jaguars. The LA Rams are 2.25 to win the NFC Conference, with New Orleans Saints priced at 1.57.